The World Players of Handball is please to be filming the 66th USHA 4 Wall National Handball Championships from Life Time Fitness in Beautiful Fridley, Minnesota. There are many story lines this year, but none greater than Naty Alvarado’s coveted #11 being met head-on by Ireland’s Paul Brady. The Gunner is seeking his 11th title and could be atop the list alongside Alvarado before the weekend passes. 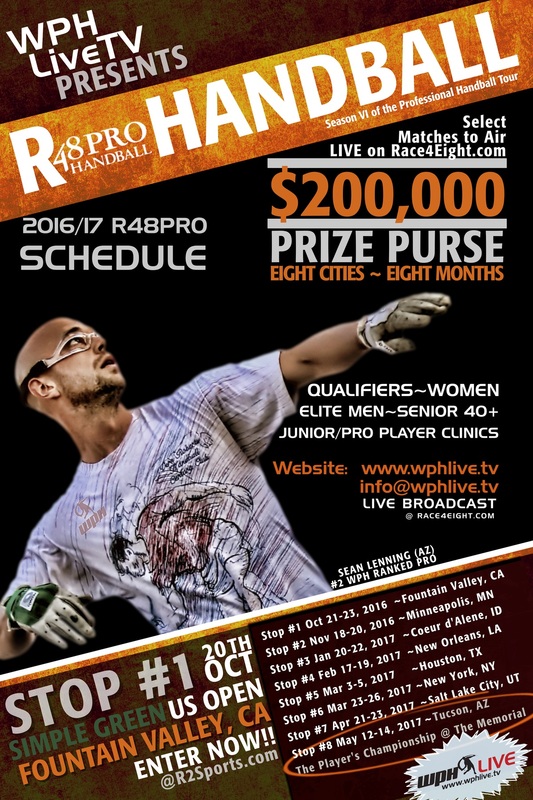 Join us together as we capture all the action LIVE right here on race4eight.com (home of the WPH R48Pro Tour). This live broadcast brought to you by the WPH Board of Directors and the USHA President’s Club. -Dave Bremer of the Boulay Group (CPA). Full Proposed Broadcast Schedule is Posted Below for the USHA 4 Wall Nationals: Going on Now!